Dentist. Preventive and Restorative General Dentistry, Implant Restorations and Cosmetic Dentistry. Springfield, Missouri. Dr. Gary Nail, D.D.S. & Dr. Jim Nail, D.D.S. Our staff of qualified professionals works together as a team to bring you the highest quality treatment in a warm and caring atmosphere. It is our goal to provide comprehensive dental care with special attention to individual needs. 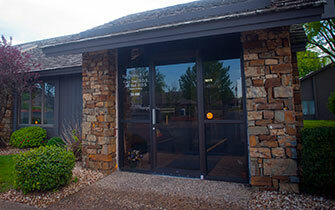 We are conveniently located in the Woodhurst Office Complex, just southwest of the mall in Springfield, Missouri. 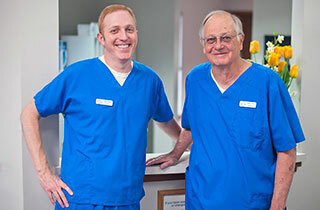 Our dental family includes patients from Branson, Nixa, Ozark, Republic, Rogersville, and many other Ozark communities. Most dental insurance is intended to cover some, but not all of the cost of dental treatment. Patient co-pays and/or deductible expenses must be paid by the patient. We accept most dental insurance and will be happy to estimate benefits and submit dental claims for you. We make every effort to minimize the cost of your care. You can help by paying for your treatment at the time of your visit. For your convenience we accept Visa, MasterCard, and Discover, as well as cash and check. Financial arrangements may be made when extensive dental care is needed. We can usually work with you to tailor payment options to your needs. We participate in Care Credit for extended financing.